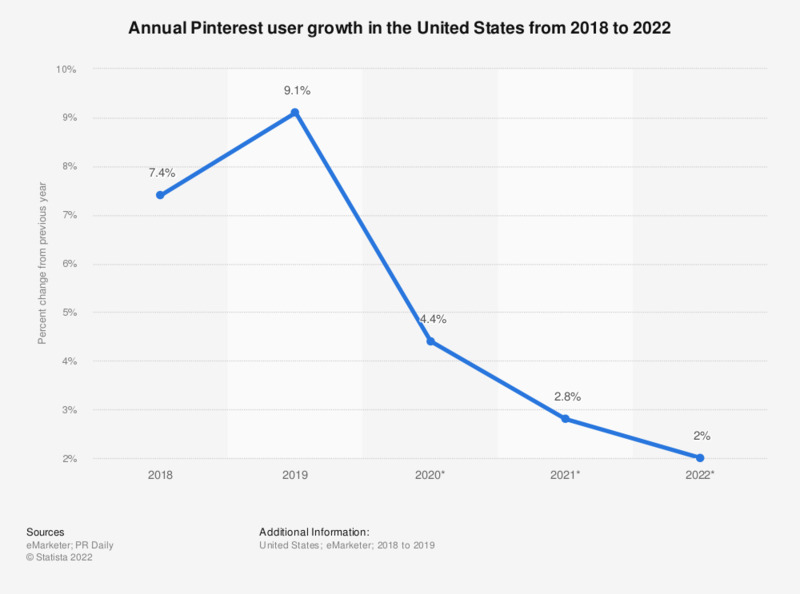 This statistic shows the projected Pinterest user growth in the United States from 2017 to 2022. In 2018, the social network's user figures grew 7 percent compared to the previous year. In 2022, development is estimated to slow to a 2 percent annual growth rate. Internet users who access their Pinterest account via any device at least once per month. Everything On "Pinterest" in One Document: Edited and Divided into Handy Chapters. Including Detailed References.